Are You Moving to Alaska? You're Not Alone! 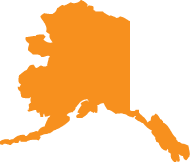 No matter where you decide to live in Alaska, Movearoo can help you find the best deals from top home services providers! We’ve sifted through the stats to track down the Alaska providers that offer the fastest Internet speeds. Overall, Alaska has average Internet speeds of 21.6 Mbps, meaning you can find a fast Internet connection just about anywhere. Find the best TV, Internet, and phone service providers in your area with Movearoo. The best deals in all of Alaska can be found through Movearoo, a trusted partner of the top telecommunications companies in the U.S. Moving tips, guidelines, checklists, and other resources are easily accessible with Movearoo—not to mention the time and money you’ll save.